Whatever our experience of the Lord may be it can never usurp the place and importance of God’s Word where spiritual truth is concerned. In this section of his letter Peter clearly states that his first hand experience with the Lord Jesus and that of the other apostles was still subject to and in a subordinate position to the supreme authority of scripture. (Vs19) Unfortunately in multitudes of churches today there is a strong tendency among many believers to elevate their personal spiritual experience above the authority of scripture even if Scripture can’t endorse it, however every spiritual experience, dream, revelation, doctrine or word of prophecy must always be examined in the light of God’s Word. The believers that Peter was writing to were adding to their faith the spiritual virtues mentioned in this letter and were firmly established, rooted and grounded in the truth of God’s Word yet the apostle feels the necessity to remind them of these things once again especially in the light of the coming persecution and his own martyrdom predicted by the Lord Jesus years before. He knew once he was gone the false teachers and their doctrines already active in the Church would spread like gangrene through the body of Christ. Paul the apostle also had the same concern. (Acts 20:25-32) Peter had a sense of urgency because he knew that his time was short. In fact all the apostles had the same concern where false teachers were concerned. Remember in Matthew 24 Jesus warned the faithful at least three times about deception in the Church especially in the last days. True shepherds will always guard and protect the sheep from the “wolves in sheep’s clothing” that come in among the sheep to destroy them. There are many so-called “shepherds” today who are hirelings. They love their positions and their stipends and their comfortable lifestyles and do not really care for the sheep. They may be sincere but when error and false teachers circulate in the Church they say nothing. In this way they do not care for the sheep because they consider their reputations more important than the spiritual welfare of the sheep. Many of them do not want to loose church members so they do not actively oppose false teachers infesting the Church today. Some just simply love money and see the ministry as a way to succeed in this! Others who could not succeed in secular society use the ministry to promote themselves as successful. Just watch TBN and you will see just how far false teaching and compromise has infiltrated the Church. This always happens before persecution comes! Satan wants to destroy the faith of Christians so that they will not be able to stand when the persecution comes. Peter realized that his martyrdom was near and that the task of shepherding would pass on to other men. Paul also knew when his time had come to die. (2Timothy 4:6-8) All of us whether we are called to be shepherds, missionaries or lay members must have a sense of urgency to complete the task God has assigned to each one of us. We need to know that we are in the centre of God’s will for our lives right now and work while it is day because the “night” of the great tribulation is rapidly approaching when no one will be able to work as we can now. The truth of the Second Coming of Jesus Christ in great splendour and power was not something that the apostles had made up themselves. Peter, James and John had experienced first hand what Jesus’ second coming would be like and how every believer would appear with Him in His glory. (Luke 9:28-36) At the transfiguration Jesus was transformed before their eyes and appeared in glory with Moses and Elijah. Moses had died physically while Elijah had been caught up to heaven alive. During the great tribulation the one hope we will have as believers in the resurrection and rapture of the Church. Only after the antichrist has been revealed and has started to persecute the Church globally will the Lord Jesus rescue us out of the Great Tribulation. (Revelation 7:14-17) Unfortunately and tragically many professing Christians today are so attached to this world and the things of this world that they will not be ready for Jesus when He comes for the faithful Church. The believers in Peter’s time did not have their hope in this world because they knew that a more intense persecution was coming. Peter wanted them to know in writing that what he and the other two apostles had experienced was very real and a preview of what would happen to all faithful Christians at the resurrection and rapture of the Church. This was their hope in the dark days ahead and if we love the Lord Jesus and His Word then we must make it our hope as well to prepare us to stand firm in the persecution that is coming to the faithful Church in the dark days ahead. We can have our personal experiences with the Lord and every born again child of God has had the inward revelation that Jesus is the Christ the Son of the Living God. However, whatever experience we have there is a more sure foundation upon which we can build our lives and that foundation is God’s Word the Bible. Peter himself says that God’s Word is more important than even our personal experience of the Lord. Our experience is important but it should never override the plain teaching of God’s Word. Our circumstances change and our emotions and feelings go up and down but God’s Word will say the same thing tomorrow as it does today. God does not change neither does He change His Word. (Malachi 3:6) (Isaiah 40:8) (Psalm 119:89) Sometimes we may feel quite spiritual but at other times feel very unspiritual however, whether we feel spiritual or not does not alter what God has plainly said in His Word the Bible. Some Christians try to live from one spiritual experience to the other but never really grow in their faith because they rely more upon those experiences than they do on God’s Word that never changes. His Word is the sure foundation upon which to build our faith. (Romans 10:17) We are to live by every word that proceeds out of God’s mouth. (Matthew 4:4) In these days of rampant spiritual deception and seduction in the Church we need the assurance of God’s prophetic Word. The believers in Peter’s time were facing an antichrist in the emperor Nero. Many of them had already suffered for their faithfulness to the Lord Jesus and others were already suffering persecution and hardship when Peter wrote to them the first time. (1 Peter 4:12-14) Peter wanted them to have their hope firmly fixed in the return of Jesus for His faithful Church. Already there was spiritual darkness and deception infiltrating the ranks of the Church and the faithful believers needed to pay close attention to the light of God’s Word to enable them to see in the encroaching darkness soon to engulf them. The prophetic word concerning the coming of the Lord for His faithful Church was to become a light shining in a dark place. Today the world is a dark place and getting darker. We must not listen to those false teachers who are telling us that things are going to get better and that the Church is going to eventually conquer the whole world for Christ and present it to Him at His coming. These men, even though they may be sincere are sincerely wrong and under a satanic deception. Only those with the light of God’s Word burning in their hearts will be able to see in the night of the great tribulation when the restraining force of the Holy Spirit has been removed and the antichrist rules. Many will fall away because they have not been taught the truth but have been deceived by the Kingdom Now and the faith prosperity money preachers. The more we focus on God’s promises concerning Jesus return to take us out of this fallen world the brighter the light and the hope of this event will be in our hearts. The hope of Jesus’ coming will be like the morning star that shines just before the dawn of a new day! If our focus is only on this world and on the things of this life we will not be ready for the return of Jesus. The first time Jesus came the majority of God’s people were not ready for Him and tragically the second time He comes the majority of professing Christians will not be ready for Him either! Jesus Himself said, “When the Son of Man comes, will He find faith (faithfulness) on the earth?” His clear implication was that when He comes there would only be a remnant of faithful Christians waiting expectantly for Him. The prophets in the Old Testament never made up the prophecies of scripture. When we examine their prophecies they actually harmonize even though the prophecies were given over a long period of time. When you specifically examine the consistency of prophecy in the Old Testament and compare it with the prophecies of the New Testament there is a beautiful harmony in the way they dovetail together. The whole subject of Biblical prophecy is a potential spiritual minefield and we have to tread carefully where prophecy is concerned but just because it is not always easy to understand is no excuse for avoiding it altogether. 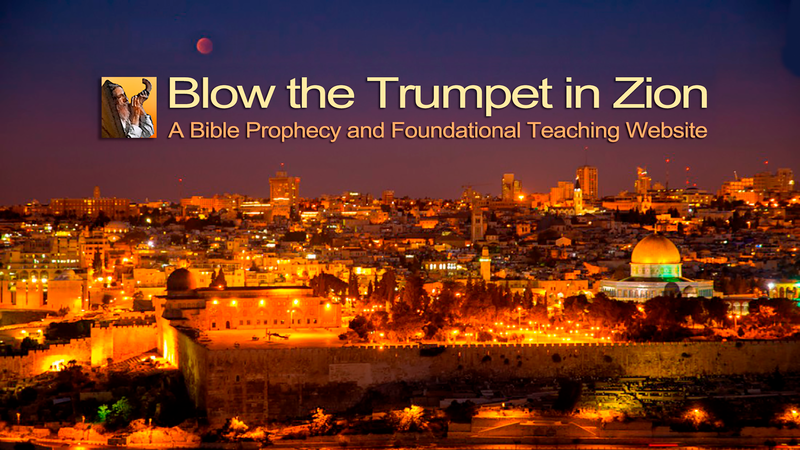 Many preachers and ministers hardly talk about prophecy today and many Christians are ignorant of God’s end-time prophetic agenda for Israel, for the Church and for the world. There are many so called “prophets” running around today saying that the Spirit of God told me this and He told me that but when you examine what they are actually saying it does not even line up with scripture. The ones guiltiest of this are the Kingdom Now preachers and those who are teaching replacement theology saying that the Church is the New Israel and that God has basically finished with the Jews. This mentality ties in with the kingdom now people who are telling us that the world will be progressively Christianised and then presented to Jesus when He comes. Many of them actually deny that there will be a great tribulation, a personal antichrist and even the rapture of the Church. They also teach that Jesus will return to the Church is some spiritual sense and not in the way He said He would return. Of course none of this is new when you look back over the history of the Church. The Montanists who were around in 156 AD were also preaching a kingdom now theology and talking about taking dominion over the earth for Jesus and His kingdom. They were also heavily into signs, miracles and wonders. True prophecy will always line up with the overall teaching of the Word of God and not bound to isolated texts that certain people twist to make them say what they want them to say! We must constantly keep in mind that God the Father, God the Son and God he Holy Spirit are all co-authors of the Bible and that the Lord Jesus Himself is the Eternal Word of God made flesh. When we are reading the Bible we are reading about the Lord Jesus Christ. He is the Living Word of God and the whole Bible is about Him. The Holy Spirit is the great executive of God who reveals to men the heart, the mind and the will of God. The Holy Spirit dwelt in and rested upon the Lord Jesus Christ. The wisdom of the Holy Spirit and the wisdom of Jesus Christ is the wisdom of God. They are all three persons in the One God.